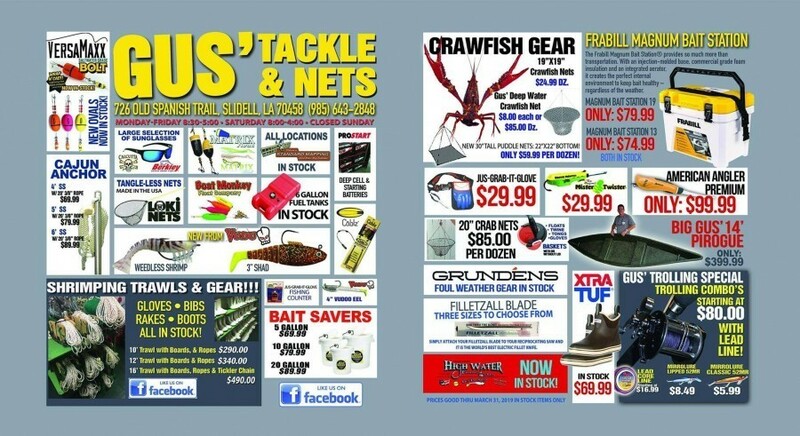 We offer a full line of Rods, Reels & Lures and all fishing accessories. Trawls, boards, rope, chain and hardware. Nets, traps, rope, floats, baskets, and hardware. Rope, anchors, life preservers, fire extinguishers, fuel hardware, and more. Filet knives, pliers, gaffs, aerators, bait buckets, gloves, shrimp boots, rain gear. 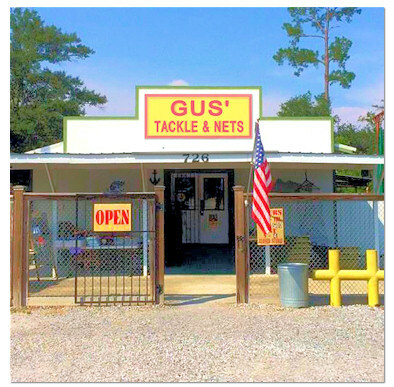 ©Copyright 1996-2019, Gus' Tackle and Nets, 726 Old Spanish Trail, Slidell, Louisiana (LA). All rights reserved. Information subject to change without notice.